Baltimore, MD – USA based progressive rock and metal band Odin’s Court’s announced a crowd sourcing campaign to release 2 albums: Deathanity (R3) and Turtles All the Way Down Vol, II. Deathanity (R3) is a “reboot” of the original ProgRock Records album released in 2008, consisting of a remix (original recording), new recording (e.g., vocals), and a re-master. Turtles All the Way Down, Vol. II continues the concept started in 2015’s album by the same name. 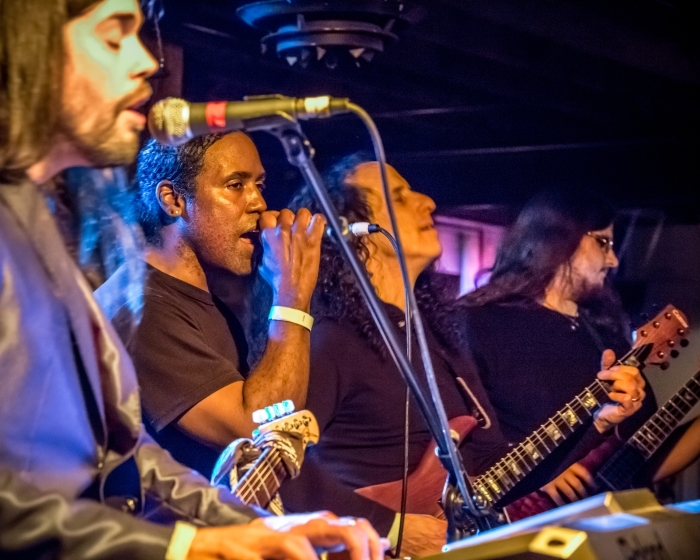 Baltimore, MD – USA based progressive rock and metal band Odin’s Court’s released their 5th full length album Turtles All the Way Down on March 3, 2015, and it has been well received by the press and fans alike. The album deals with ideas and questions relating to the entire universe and mankind’s place in it, using the idiom “Turtles All the Way Down” to describe the challenge of having to solve a new problem every time an old problem is solved. 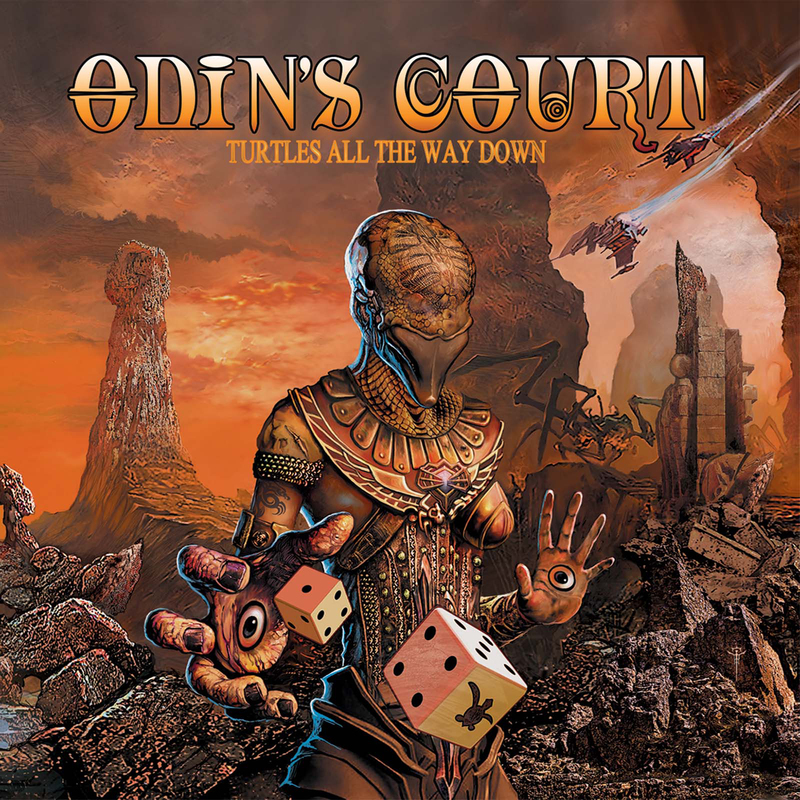 Baltimore, MD – USA based progressive rock and metal band Odin’s Court’s eagerly awaited 5th album Turtles All the Way Down will hit the streets on March 3, 2015. After releasing four diverse albums on ProgRock Records internationally, Odin’s Court will release their latest album independently through their own label D2C Studios. Band leader Matt Brookins commented on the latest album: “On Turtles All the Way Down, our sound is refined with a balance of modern and classic vibes, while still retaining the signature ‘Odin’s Court’ sound. We also have the ‘missing piece’ that completes us – a new vocalist that can bring the emotion and technicality to the music that it deserves. Dimetrius LaFavors’ vocals, combined with the more mature song writing and production, have taken us to the next level.” The artwork was done by French painter J.P. Fournier. 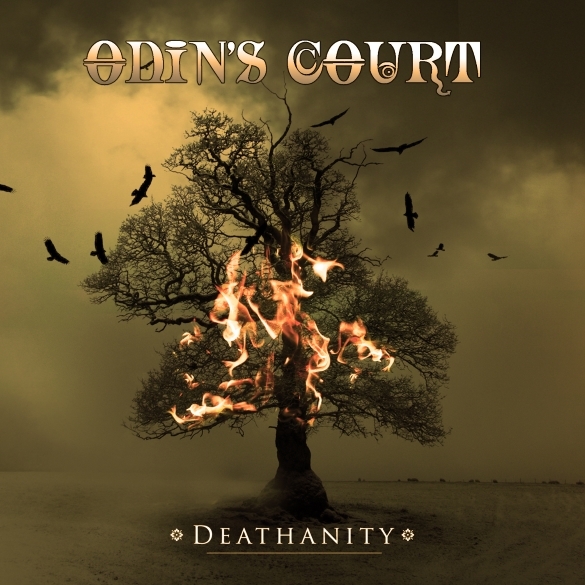 Odin’s Court is a Maryland, USA based band that was formed by Matt Brookins in 2001. The band is best described as progressive metal & rock, fusing classic and modern sounds that transcend several genres. In 2013, the band picked up lead vocalist Dimetrius LaFavors; with a voice reminiscent of classic vocalists in the rock, metal, and progressive genres, he added the “final piece” needed to polish off the band’s sound, while still maintaining a unique voice. Rick Pierpont, an infectious presence on stage, provides excellent and exciting leads that soar through the music. Brookins provides additional vocals and performs on various instruments as needed, doubling as band producer. The current line up started gigging in 2013, and has been winning over new fans with each show performed.